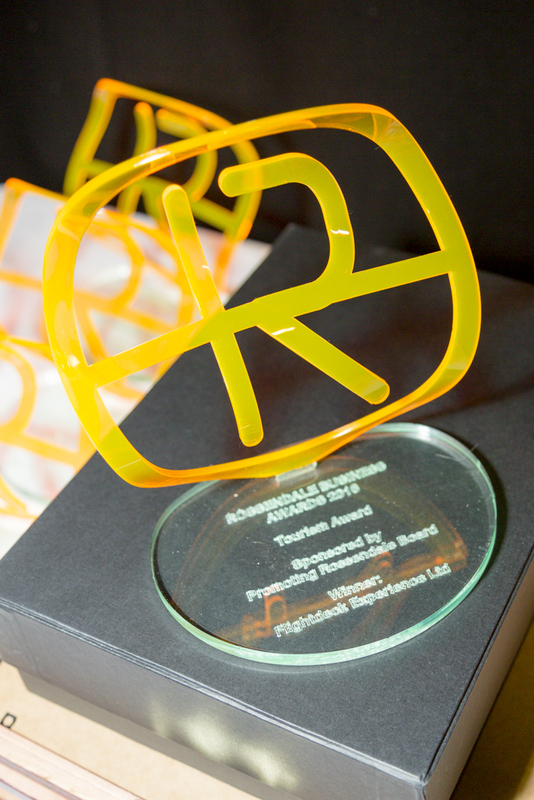 There are two R-Awards trophies. 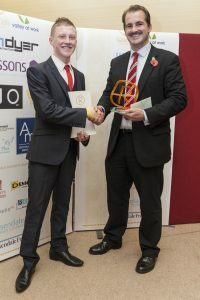 The first, which goes to all winners (except the Valley at Work Award winner), was designed by Jake Ford when he was a pupil at Alder Grange school. These are made exclusively for us by Alder Grange School every year. It demonstrates how deep the culture of enterprise runs in Rossendale. 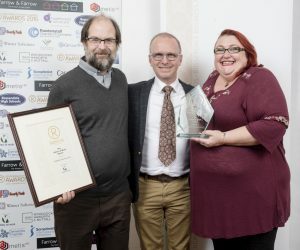 The second trophy, which is presented to each year’s Valley at Work Award winner, is designed and made by Alexis Valentine of Walking on Glass. Alexis brings new design elements to the trophy every year which reflect different aspects of Rossendale. 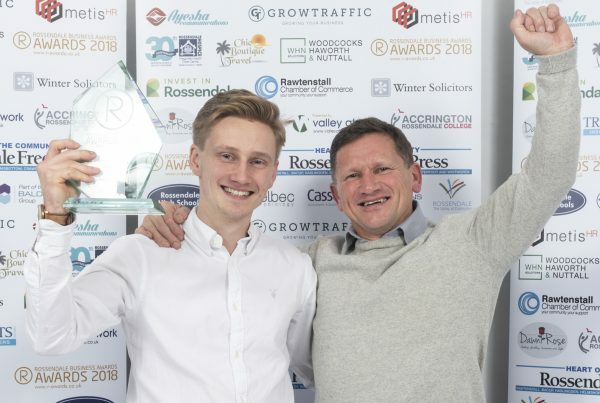 The 2018 competition will be the 9th Rossendale Business Awards, which has grown to become the largest local business event of the year. 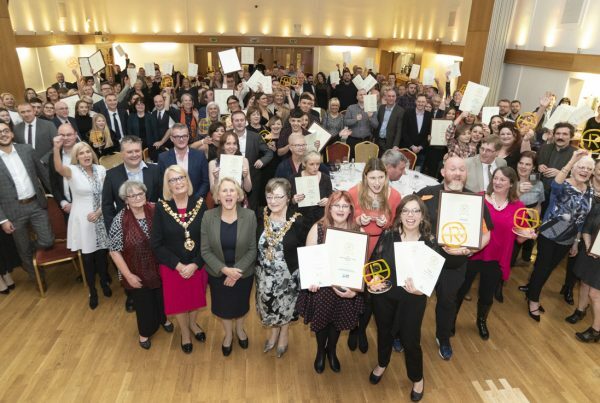 Last year over 100 businesses were nominated and over 200 business people filled Riverside Whitworth to capacity for the ceremony. You will be able to nominate for Rossendale Business Awards 2018 on this website from Wednesday August 13th. The ceremony will once again be at Riverside Whitworth, on the evening of Wednesday November 14th. 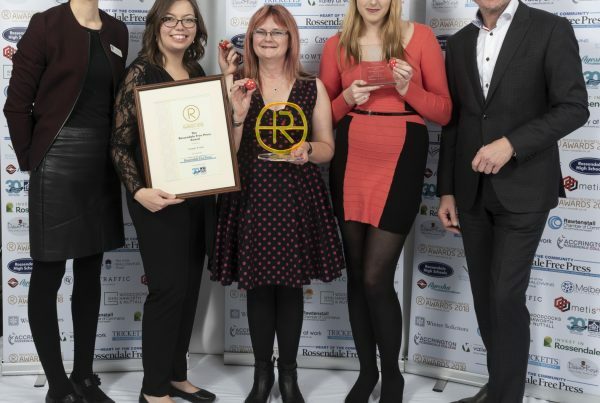 Without our sponsors the Awards simply could not happen – so a great big thank you must go out to all the local businesses that have supported and continue to support Rossendale Business Awards.